The DSDT for Legacy Award F12 BIOS is still in the pack, however for perfect hackintosh consider to switch on UEFI BIOS & CLOVER boot loader. With this tool you can create USB images in Windows. You can also restore USB images with this tool. It's a very handy tool, cause people without a running Mac OS X version can restore Mac OS X USB images via this tool! Welcome to the OSX86 ModUSB Installer. This project's goal is to successfully eliminate the need to use a modified DVD in order to provide the ease of the common distro install, as well as taking away the involvement of piracy that using OS X distros always involve. If you have any suggestions on how to improve This, be sure and let me (nawcom) know. This is the same thing as the ModCD (automatic hardware support detection, installer package modification, etc) but made to be installed to a USB stick with the retail DVD imaged to it (for reason lacking a DVD-ROM on the target system you want to install to, NOT to make it easier to pirate.) You could also image your DVD to a separate disk and it should detect and be able to boot it if you wanted to, but I personally don't suggest that at all. Keep it all on one usb stick when possible. Feel free to base your own version of ModUSB/Mod CD off of this, just give credit of what it is based off of - either nawcom's Mod Booters or meklort's netbook installer is fine. Understand that by purchasing and installing Mac OS X onto a non-Apple labelled computer, you are breaking the End User License Agreement (EULA). Understand that by using the technology in FakeSMC, you are breaking the Digital Millennium Copyright Act (DMCA) by circumventing the encryption of core binaries meant to be decrypted by the hardware's SMC (System Management Controller). Understand that you are taking responsibilities for your use of this software; the developers are not taking the responsibilities. 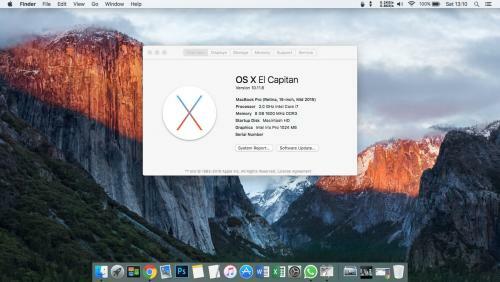 Kakewalk is a simple method for installing Mac OS X on a PC. 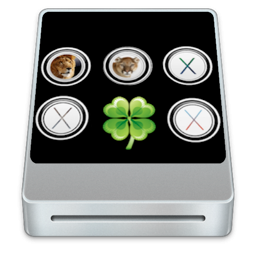 The sole purpose of Kakewalk is to make it as easy as possible to install OS X (Lion or Mountain Lion) on your PC. Kakewalk tries to remove all of the painful fiddling and tinkering so that you can get your hackintosh up and running within a few hours. A guide is included in the download to help you install Mac OS X with ease. It?s called hackintosh for a reason, so you might run into issues while installing. If you run into any issues then refer to the Help page and/or the Kakewalk forums. mrjanec updated Kakewalk with an older version of ALC8xx that will work with older motherboards. You should try it out. Just install like you normally would. System hangs at ?PCI Configuration Began? If this happens then you should try installing the patched kext IOPCIFamily.kext. Make sure to read the Readme file supplied with package. For Lion and Mountain Lion. ready for installing & running your Kitty. The most important things to know is adjusting the settings.plist in folder \efi\xpc. XPC is a very interesting piece of applepie - have fun. Make use of the 'H' (help) key. Pressing F1 it's possible to load kernelcache anyway. This is my Mountain Lion Package. 2. Realtek Card Reader (PID:0139) is not working. Other than above everything is working even Native Speedstep and Power management. Update: New PS2 Controller kext which is newer and smooth. After Sleep press ALT button to get the keys work as alphabets since it changes to symbols in sleep. Update#5: Fixed FN Keys Audio(F10+F11+F12) and Media Keys(Arrows) with a WMI driver port from linux. Update#7 Ported the driver for the elan touchpad from linux. So I just bought an Acer Aspire V3-571G and the first thing I planned on doing? Installing Mountain Lion (using paid for retail) obviously. So yes, I have mostly everything up and running so far on this machine and I just want to share the files and kexts I have used & made to make this Acer usable on a daily basis. The download is just a Zip archive full of goodies, enjoy! If you need any help please give me an email, or private message. Please first read, then downloaded it! (Speedstep ist only with Clover 2795 and the Bootflag -xcpm working! New Files are FakeSMC and VoodooPS2 from Rehabman. / Thank´s you Guys! And for now Trim Enabler is making "S.w.f.r.d." Panic! With Yosemite Works MaciASL no longer meet for precautions! This is my first experience with an Hackintosh. I've working hard and now i'm really glad to share with you my experience. Sorry for my bad english, i'm italian. Greeting from Verona!. Backlight is set at 100% after wakeup. Pressing FN+F2 will set backlight at the same state before sleep. Webcam is not working with native application (photo boot, FaceTime). If you want to make it working you need to open FaceTime then open a webpage and allow Flash Player to access your webcam and microphone (for example, taking a picture from facebook page or testing your webcam at http://testwebcam.com) then the webcam video stream will show up. Booting on verbose mode "SNB Framebuffer did not show up, unload" appear, it does this twice, and takes 30-45 seconds each. Without -v flag, system take the same time to bootup, even with kernelcache set on boot.plist. If you have any solution for the issues described above, or if you have any problem about my configuration, please write here. Bye!